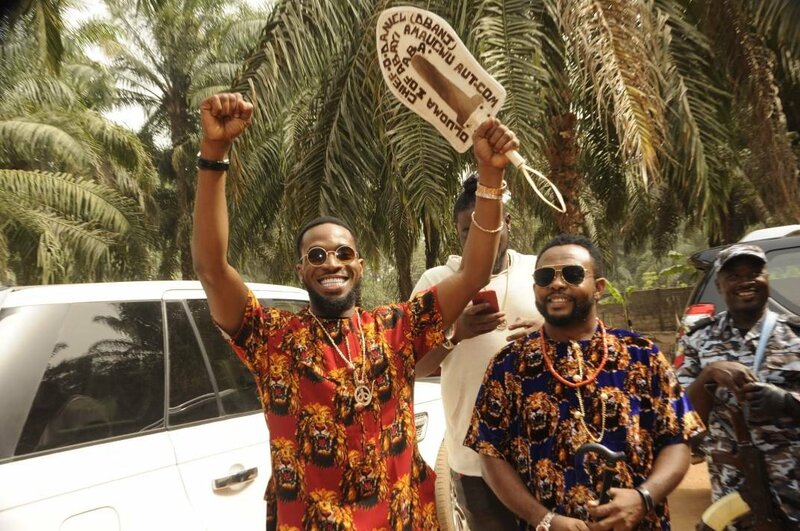 On January 3rd, 2018, Nigerian pop star, D'banj was honoured with a chieftancy title in Amuzi Obowoland, Imo state. The koko-master was confered with the title of "Enyi Ka Nwanne Amuzi" by the paramount ruler of the kingdom. Dbanj rocked the traditional Igbo ‘isi agu’ attire while being flanked by his friend and business partner, Damian Ifeanyi Okoroafor, manage Frank Amudo and hypeman, Jimmie as he received the title.